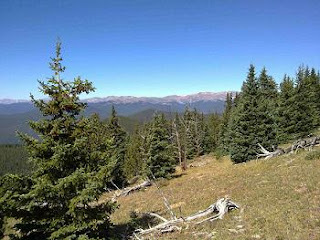 Hey, Phee, welcome to Wrickenridge, the greatest little town in the Rockies, a couple of hours west of Denver, Colorado. I thought you might find a few pointers helpful in your first days here. Don’t worry, whatever happens, I won’t let you get lost. Learn to like skiing. With snow on the ground for half the year, it helps if you get into alpine sports. Zed likes boarding, but that’s him. The rest of us prefer two skis. You don’t have to be good, just willing to have a go. Oh and don’t let Sky try to teach you. Accept that High School is insane. It is a gossip machine and full of what Mom calls ‘characters’. If you choose to get your High School certificate in Wreckenridge, stick with Sky and Zed, they will help you through the mine field, as will Nelson, Tina and Zoe. Those three are great friends to Sky so I am sure would be ready to stand by you too. Avoid Nelson’s grandma, Mrs Hoffman. She means well but she can be overwhelming. Don’t believe anything bad anyone says about me (especially if my brothers are the source) but do believe every tall tale about them – it will be the truth! Don’t go shopping on your own with my mother. You’ll regret it. Drop by the new art centre run by Sky’s parents – it’s awesome. Tina has exhibited a few pieces there too. I think it is a special place thanks to Sally and Simon Bright. Let me take you white water rafting. It has to be experienced when the river is high. When you get through, I’ll get you your own hoodie. Then again, you seem to have stolen mine, so maybe I’ll get just myself a new one. Oh yeah, about that stealing thing. Best not to try it in Wrickenridge, sweetheart. Zed got ‘cuffed and stuffed’ by Officer Hussein for a tussle last Halloween. (And have we let him forget it? Of course not). I don’t want to have to bail you out too. If you want to practice your, er, skills on anyone, let it be me. 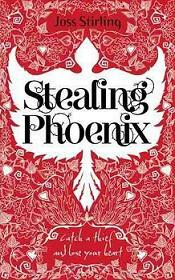 Check Out Joss Stirlings Website for more information on her amazing novels and learn more about Stealing Phoenix. Also hit Serendipity Reviews on the 19th for the next stop on the blog tour! Aww what a great post for the tour.